Our National Conference of Bishops (CNBB) is supporting a lawyer that is a well known ally of our president and DEFENDS ABORTION AND RESEARCH WITH EMBRYONIC CELLS and who was appointed by the President for the Supreme Federal Court. If his indication is approved it will be loss to pro-life fight because the liberalization of abortion is in the docket for judgment at the Supreme Court. José Antônio Toffoli has been the personal lawyer of President Lula in the last three [presidential] campaigns, occuppied the juridical consultancy of the Office of Chief of Staff in the administration of the former minister José Dirceu and, since March of 2007, he has been the Solicitor-General of the government - sort of a legal consultant of the government. 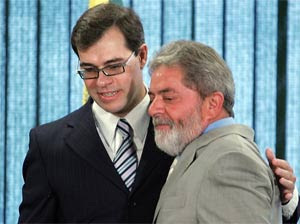 At the age of 41, he is preparing himself for a big leap in his career: he is the favorite in the Planalto [Presidential Palace] to fill one of the two positions of Justice of the Supreme Federal Court that will be open before the end of 2010. Toffoli says that he will accept the position if he is invited, but he rejects the suggestions that he will be a soldier of the Workers' Party [the government party] in the Court. In an interview to VEJA, the young lawyer ... defends the decriminalization of abortion and gay marriage - even though he is a practicing Catholic, the brother of a priest and nephew of a monsignor and goes assiduously to Sunday Mass. 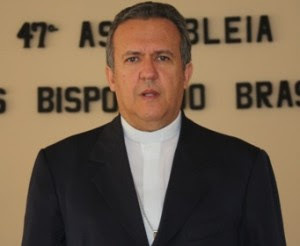 The secretary-general of the CNBB [Conferência Nacional dos Bispos do Brasil - National Conference of the Bishops of Brazil], Bishop Dimas Lara Barbosa, defended the appointment of the Solicitor-General, Minister José Antônio Dias Toffoli, to the STF [Supreme Federal Court] this Tuesday. The bishop said that Toffoli, a Catholic by formation, has the competency to take over the position of Justice Menezes Direito in the Court - who died one month ago. "The Minister has declared to be a Catholic person. Father Toffoli himself attested to the competency and ethical behavior of his brother. Therefore, we expect that the Judiciary may exert its function with the collaboration of the future Justice in order to make justice happen in our country", the bishop affirmed. The lawyer is the brother of Father José Carlos Toffoli, a former assistant of the CNBB. Toffoli will be heard this Wednesday by the CCJ [Constitution and Justice Committee] of the Senate. His name must be approved by the full Senate before being named to the STF. Well, what else could one expect from the most "Progressive" Episcopal Conference in the world? This morning, we are gathered around the altar for the glorious commemoration of the martyr Saint Wenceslaus, whose relics I was able to venerate before Mass in the Basilica dedicated to him. He shed his blood in your land, and his eagle, which – as the Cardinal Archbishop has just mentioned – you chose as a symbol for this visit, constitutes the historical emblem of the noble Czech nation. This great saint, whom you are pleased to call the "eternal" Prince of the Czechs, invites us always to follow Christ faithfully, he invites us to be holy. He himself is a model of holiness for all people, especially the leaders of communities and peoples. Yet we ask ourselves: in our day, is holiness still relevant? Or is it now considered unattractive and unimportant? Do we not place more value today on worldly success and glory? Yet how long does earthly success last, and what value does it have? The last century – as this land of yours can bear witness – saw the fall of a number of powerful figures who had apparently risen to almost unattainable heights. Suddenly they found themselves stripped of their power. Those who denied and continue to deny God, and in consequence have no respect for man, appear to have a comfortable life and to be materially successful. Yet one need only scratch the surface to realize how sad and unfulfilled these people are. Only those who maintain in their hearts a holy "fear of God" can also put their trust in man and spend their lives building a more just and fraternal world. Today there is a need for believers with credibility, who are ready to spread in every area of society the Christian principles and ideals by which their action is inspired. This is holiness, the universal vocation of all the baptized, which motivates people to carry out their duty with fidelity and courage, looking not to their own selfish interests but to the common good, seeking God’s will at every moment. In the Gospel we heard Jesus speaking clearly on this subject: "What will it profit a man, if he gains the whole world and forfeits his life?" (Mt 16:26). In this way we are led to consider that the true value of human life is measured not merely in terms of material goods and transient interests, because it is not material goods that quench the profound thirst for meaning and happiness in the heart of every person. This is why Jesus does not hesitate to propose to his disciples the "narrow" path of holiness: "whoever loses his life for my sake will find it" (16:25). And he resolutely repeats to us this morning: "If any man would come after me, let him deny himself and take up his cross and follow me" (16:24). Without doubt, this is hard language, difficult to accept and put into practice, but the testimony of the saints assures us that it is possible for all who trust and entrust themselves to Christ. Their example encourages those who call themselves Christian to be credible, that is, consistent with the principles and the faith that they profess. It is not enough to appear good and honest: one must truly be so. And the good and honest person is one who does not obscure God’s light with his own ego, does not put himself forward, but allows God to shine through. 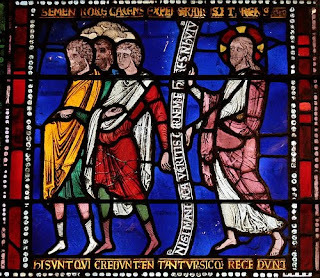 Wenceslaus died as a martyr for Christ. 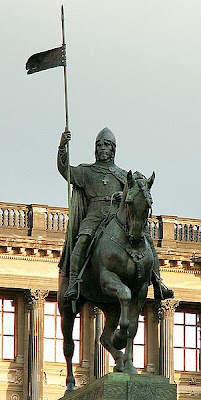 It is interesting to note that, by killing him, his brother Boleslaus succeeded in taking possession of the throne of Prague, but the crown placed on the heads of his successors did not bear his name. Rather, it bears the name of Wenceslaus, as a testimony that "the throne of the king who judges the poor in truth will remain firm for ever". This fact is judged as a miraculous intervention by God, who does not abandon his faithful: "the conquered innocent defeated the cruel conqueror just as Christ did on the cross" (cf. The Legend of Saint Wenceslaus), and the blood of the martyr did not cry out for hatred or revenge, but rather for pardon and peace. I address you as one who has been a professor, solicitous of the right to academic freedom and the responsibility for the authentic use of reason, and is now the Pope who, in his role as Shepherd, is recognized as a voice for the ethical reasoning of humanity. While some argue that the questions raised by religion, faith and ethics have no place within the purview of collective reason, that view is by no means axiomatic. The freedom that underlies the exercise of reason – be it in a university or in the Church – has a purpose: it is directed to the pursuit of truth, and as such gives expression to a tenet of Christianity which in fact gave rise to the university. Indeed, man’s thirst for knowledge prompts every generation to broaden the concept of reason and to drink at the wellsprings of faith. It was precisely the rich heritage of classical wisdom, assimilated and placed at the service of the Gospel, which the first Christian missionaries brought to these lands and established as the basis of a spiritual and cultural unity which endures to this day. The same spirit led my predecessor Pope Clement VI to establish the famed Charles University in 1347, which continues to make an important contribution to wider European academic, religious and cultural circles. The proper autonomy of a university, or indeed any educational institution, finds meaning in its accountability to the authority of truth. Nevertheless, that autonomy can be thwarted in a variety of ways. The great formative tradition, open to the transcendent, which stands at the base of universities across Europe, was in this land, and others, systematically subverted by the reductive ideology of materialism, the repression of religion and the suppression of the human spirit. In 1989, however, the world witnessed in dramatic ways the overthrow of a failed totalitarian ideology and the triumph of the human spirit. The yearning for freedom and truth is inalienably part of our common humanity. It can never be eliminated; and, as history has shown, it is denied at humanity’s own peril. It is to this yearning that religious faith, the various arts, philosophy, theology and other scientific disciplines, each with its own method, seek to respond, both on the level of disciplined reflection and on the level of a sound praxis. Sundered from the fundamental human orientation towards truth, however, reason begins to lose direction: it withers, either under the guise of modesty, resting content with the merely partial or provisional, or under the guise of certainty, insisting on capitulation to the demands of those who indiscriminately give equal value to practically everything. The relativism that ensues provides a dense camouflage behind which new threats to the autonomy of academic institutions can lurk. While the period of interference from political totalitarianism has passed, is it not the case that frequently, across the globe, the exercise of reason and academic research are – subtly and not so subtly – constrained to bow to the pressures of ideological interest groups and the lure of short-term utilitarian or pragmatic goals? What will happen if our culture builds itself only on fashionable arguments, with little reference to a genuine historical intellectual tradition, or on the viewpoints that are most vociferously promoted and most heavily funded? What will happen if in its anxiety to preserve a radical secularism, it detaches itself from its life-giving roots? Our societies will not become more reasonable or tolerant or adaptable but rather more brittle and less inclusive, and they will increasingly struggle to recognize what is true, noble and good. ... [Pope John Paul II,] as you know, promoted a fuller understanding of the relationship between faith and reason as the two wings by which the human spirit is lifted to the contemplation of truth (cf. Fides et Ratio, Proemium). Each supports the other and each has its own scope of action (cf. ibid., 17), yet still there are those who would detach one from the other. Not only do the proponents of this positivistic exclusion of the divine from the universality of reason negate what is one of the most profound convictions of religious believers, they also thwart the very dialogue of cultures which they themselves propose. An understanding of reason that is deaf to the divine and which relegates religions into the realm of subcultures, is incapable of entering into the dialogue of cultures that our world so urgently needs. In the end, “fidelity to man requires fidelity to the truth, which alone is the guarantee of freedom” (Caritas in Veritate, 9). This confidence in the human ability to seek truth, to find truth and to live by the truth led to the foundation of the great European universities. Surely we must reaffirm this today in order to bring courage to the intellectual forces necessary for the development of a future of authentic human flourishing, a future truly worthy of man. The salvation wrought by Jesus’s suffering, death, resurrection and ascension into heaven not only transforms us who believe in him, but urges us to share this Good News with others. Enlightened by the Spirit’s gifts of knowledge, wisdom and understanding (cf. Is 11:1-2; Ex 35:31), may our capacity to grasp the truth taught by Jesus Christ impel us to work tirelessly for the unity he desires for all his children reborn through Baptism, and indeed for the whole human race. elles ne subsistent plus alors qu'en Dieu. Europe is dying. She never really existed, not by herself. Geographically, she was always the far west of a much larger landmass. Her reality, as a cultural unity, was forged by the Church. And her unity unified the whole world: her deeply ingrained missionary zeal converted large parts of the globe and Westernized the remainder. For centuries, she has lived and acted upon her matricidal desires. How deeply has she hurt the heart of her only mother, the Church! The Second Vatican Council was little more than the desperate desire of a disgruntled mother to come to terms with her rebellious daughter. And it finally dawned upon the daughter that the only act which would truly devastate the heart of her imperishable Mother would be her own self-destruction. Wars upon wars had not sufficed. Europe simply decided not to exist anymore. The different lands will remain inhabited, of course, but the thoughts that made them "Europe" are about to disappear completely. And the great malaise one feels around the world today is not, as some suggest, the end of the "Pax Americana" and the rise of the "East". No: it is rather the fact that the source of the European framework within which we all, from Pole to Pole, have existed for centuries is disintegrating before our very eyes. The pill and abortion have accomplished what plague, famine, and wars could not. The Pope, this remnant of a breed of learned and orthodox European scholars, seems so lonely as he visits the heart of secular Europe! From the disturbances following the Hussite movement to National-Socialism and Communism, few lands have suffered so much from the waves of European self-destruction as the Czech lands. And, amidst all this pain, it remains so sublime to gaze upon the Vicar of Christ as he stands, bearing the undying words of God, over the dying thoughts of this continent-sized graveyard. Life after the long winter of "atheist oppression"
Twenty years ago, after the long winter of Communist dictatorship, your Christian communities began once more to express themselves freely, when, through the events triggered by the student demonstration of 17 November 1989, your people regained their freedom. Catholic schools should foster respect for the human person; attention should also be given to the pastoral care of young people outside the school environment, without neglecting other groups of the faithful. Christ is for everyone! I sincerely hope that there will be a growing accord with other institutions, both public and private. It is always worth repeating that the Church does not seek privileges, but only to be able to work freely in the service of all, in the spirit of the Gospel. Dear Brothers and Sisters, with gratitude to the Lord, we shall be marking a number of anniversaries this year: the 280th anniversary of the canonization of Saint John Nepomuk, the 80th anniversary of the dedication of Saint Vitus’ Cathedral, and the 20th anniversary of the canonization of Saint Agnes of Bohemia, the event which heralded your country’s deliverance from atheist oppression. All these are good reasons for persevering in the journey of faith with joy and enthusiasm, counting on the maternal intercession of Mary, Mother of God, and all your Patron Saints. Amen! For Christians, truth has a name: God. And goodness has a face: Jesus Christ. The faith of Christians, from the time of Saints Cyril and Methodius and the early missionaries, has in fact played a decisive role in shaping the spiritual and cultural heritage of this country. It must do likewise in the present and into the future. 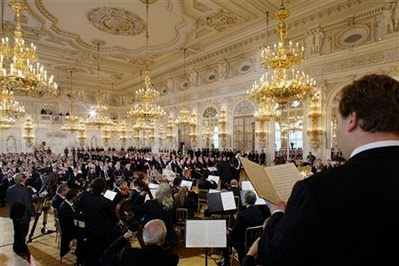 The rich patrimony of spiritual and cultural values, each finding expression in the other, has not only given shape to the nation’s identity but has also furnished it with the vision necessary to exercise a role of cohesion at the heart of Europe. For centuries this territory has been a meeting point between various peoples, traditions, and cultures. As we are all aware, it has known painful chapters and carries the scars of tragic events born of misunderstanding, war and persecution. Yet it is also true, that its Christian roots have nourished a remarkable spirit of forgiveness, reconciliation and cooperation which has enabled the people of these lands to find freedom and to usher in a new beginning, a new synthesis, a renewal of hope. Is it not precisely this spirit that contemporary Europe requires? “Veritas vincit”. This is the motto that the flag of the President of the Czech Republic bears: In the end, truth does conquer, not by force, but by persuasion, by the heroic witness of men and women of firm principle, by sincere dialogue which looks beyond self-interest to the demands of the common good. The thirst for truth, beauty and goodness, implanted in all men and women by the Creator, is meant to draw people together in the quest for justice, freedom and peace. History has amply shown that truth can be betrayed and manipulated in the service of false ideologies, oppression and injustice. ... [W]ith these sentiments I offer prayerful good wishes that your service be inspired and sustained by the light of that truth which is a reflection of the eternal Wisdom of God the Creator. The heavy rains which have fallen on the island of Luzon (Philippines) and the subsequent floods have affected our main contributor, Carlos Antonio Palad, and his family. Please, pray for them. I greet all of you warmly and I want you to know what joy it gives me to visit this Church, dedicated to Our Lady of Victory, where the faithful venerate the statue of the Infant Jesus, known throughout the world as the "Holy Infant of Prague". I thank Archbishop Jan Graubner, President of the Episcopal Conference, for his words of welcome spoken on behalf of all the Bishops. I offer respectful greetings to the Mayor and to the other civil and religious authorities present at this gathering. I greet you, dear families, who have come in such large numbers to be here with me. The image of the Child Jesus calls to mind the mystery of the Incarnation, of the all-powerful God who became man and who lived for thirty years in the lowly family of Nazareth, entrusted by Providence to the watchful care of Mary and Joseph. My thoughts turn to your own families and to all the families in the world, in their joys and difficulties. Our reflections should lead us to prayer, as we call upon the Child Jesus for the gift of unity and harmony for all families. We think especially of young families who have to work so hard to offer their children security and a decent future. We pray for families in difficulty, struggling with illness and suffering, for those in crisis, divided or torn apart by strife or infidelity. We entrust them all to the Holy Infant of Prague, knowing how important their stability and harmony is for the true progress of society and for the future of humanity. The figure of the Child Jesus, the tender infant, brings home to us God’s closeness and his love. We come to understand how precious we are in his eyes, because it is through him that we in our turn have become children of God. Every human being is a child of God and therefore our brother or sister, to be welcomed and respected. May our society grasp this truth! Every human person would then be appreciated not for what he has, but for who he is, since in the face of every human being, without distinction of race or culture, God’s image shines forth. This is especially true of children. In the Holy Infant of Prague we contemplate the beauty of childhood and the fondness that Jesus Christ has always shown for little ones, as we read in the Gospel (cf. Mk 10:13-16). Yet how many children are neither loved, nor welcomed nor respected! How many of them suffer violence and every kind of exploitation by the unscrupulous! May children always be accorded the respect and attention that are due to them: they are the future and the hope of humanity! Dear children, I now want to say a special word to you and to your families. You have come here in large numbers to meet me, and for this I thank you most warmly. You are greatly loved by the Child Jesus, and you should return his love by following his example: be obedient, good and kind. Learn to be, like him, a source of joy to your parents. Be true friends of Jesus, and always turn to him in trust. Pray to him for yourselves, for your parents, relations, teachers and friends, and pray also for me. Thank you once again for your welcome. I bless you from my heart and I invoke upon all of you the protection of the Holy Infant Jesus, his Immaculate Mother and Saint Joseph. [T]he cost of forty years of political repression is not to be underestimated. A particular tragedy for this land was the ruthless attempt by the Government of that time to silence the voice of the Church. Throughout your history, from the time of Saint Wenceslaus, Saint Ludmila and Saint Adalbert to the time of Saint John Nepomuk, there have been courageous martyrs whose fidelity to Christ spoke far louder and more eloquently than the voice of their executioners. This year marks the fortieth anniversary of the death of the Servant of God Cardinal Josef Beran, Archbishop of Prague. I wish to pay tribute both to him and to his successor Cardinal František Tomášek, whom I had the privilege of knowing personally, for their indomitable Christian witness in the face of persecution. They, and countless brave priests, religious and lay men and women kept the flame of faith alive in this country. Now that religious freedom has been restored, I call upon all the citizens of this Republic to rediscover the Christian traditions which have shaped their culture, and I invite the Christian community to continue to make its voice heard as the nation addresses the challenges of the new millennium. "Without God, man neither knows which way to go, nor even understands who he is" (Caritas in Veritate, 78). The truth of the Gospel is indispensable for a healthy society, since it opens us to hope and enables us to discover our inalienable dignity as God’s children. Mr President, I know that you wish to see a greater role for religion in this country’s affairs. The Presidential flag flying over Prague Castle proclaims the motto "Pravda Vítězí - the Truth wins": it is my earnest hope that the light of truth will continue to guide this nation, so blessed throughout its history by the witness of great saints and martyrs. In this scientific age, it is instructive to recall the example of Johann Gregor Mendel, the Augustinian Abbot from Moravia whose pioneering research laid the foundations of modern genetics. Not for him the reproach of his patron, Saint Augustine, who regretted that so many were "more concerned with admiring facts than seeking their causes" (Epistula 120:5; cf. John Paul II, Address for the Commemoration of Abbot Gregor Mendel on the First Centenary of his Death, 10 March 1984, 2). The authentic progress of humanity is best served by just such a combination of the wisdom of faith and the insights of reason. May the Czech people always enjoy the benefits of that happy synthesis. SZ: You say that you didn't know about the Williamson's interview. What would the Pope have done if he had known about it? Hoyos: I would speculate no hypotheses about what the pope would have to do. I am just referring to what he knew, as the lifting of the excommunication was made public. At this moment none of us knew nothing about Bishop Williamson's statements. None of us! And no one had the duty to know it! SZ: Do you share the positions of the SSPX? Castrillon Hoyos: The members of SSPX think that they are defending the truth about sacred tradition and that they can not be excommunicated for it. This can be understandable, even if I do not share this opinion. For it is indisputable that they have broken a fundamental law of the Church. SZ: Have you ever asked yourself whether your decisions may have political consequences? Castrillon Hoyos: The excommunication of four bishops, is not a political act. It is an act of mercy. It is therefore a pastoral-theological problem, not an interference of the church in the political sphere. So I do not concern myself. My job is not to judge a brother bishop. 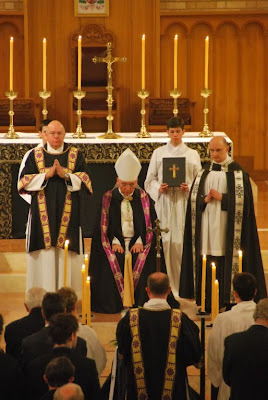 That is the task of the Congregation for Bishops and the Congregation for the Doctrine of the Faith. SZ: But the Catholic Church has an opinion on antisemitism and the holocaust. Castrillon Hoyos: The rejection by the Church of the very unjust violence which Jewish people were subjected to is quite clear. Such racial genocide is an immoral crime against humanity. SZ: Why then did you not stop the lifting of the excommunication of a Holocaust denier? 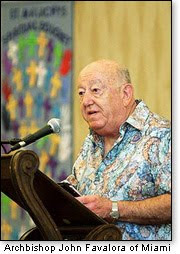 Castrillon Hoyos: Williamson was excommunicated because of his illegitimate episcopal ordination, not because of his theories, judgments or statements about the Holocaust. Seeing the matter in the other way is a German mistake! SZ: you didn't even know (about the opinion of Williamson) in 2009? Castrillón Hoyos: I only know that the STV interviewed him on the occasion of a deacon ordination. And I got only on Feb. 5th informed about what he said in it. The Nunciature gave me the information in a sealed envelope. Sz: Now the Bishop of Stockholm Anders Arborelius states that he informed the Nunciature in Stockholm as early as in November 2008. Castrillón Hoyos: I deplore this untrustworthy (German: inseriös) statement a lot, because it is false. It is a slander (Gr. : Verleumdung)to spread out this kind of information. We save all the documents we get in digital form. Bishop Arborelius should say how, whom, and when he passed the information on, and whether it was passed on in written form or orally. SZ: The Magazine Spiegel reported the interview of Williamson in 2008. Nobody reads it in the Vatican? Castrillón Hoyos: It is possible that the German department in the Secretary of States knew about this report. I didn't. SZ: Father Fellay, the General of the SSPX, might have known already what Williamson said in Interview, if we believe the letter he sent to the STV on the 21st. Jan., in order to prevent the series from being broadcasted. Castrillón Hoyos: I know nothing about this. SZ: Williamson said, he got to know you during a lunch? Castrillón Hoyos: I had at that time just become the President of Ecclesia Dei. And there I saw in midsummer a group of persons in cassocks, so I asked my secretary to inform himself about this group. He told me they are Lefebvrists. So I invited them to me. SZ: What was your impression of them? Castrillón Hoyos: That they are good people, but sometimes too much fixed upon the idea that all evil in the world has the reform to the Council as its source. As I tried to relax the atmosphere and joked that if I would choose a language for Mass, I would take the Aramaic, the language of Christ, as I didn't know who had the bad idea to change the language of the Lord against the language of His persecutors. They found it a very bad joke. 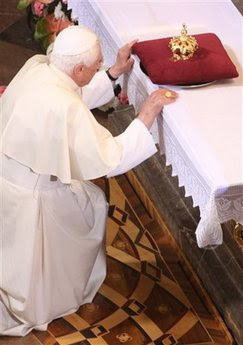 After this meeting it came the dialog with JPII, and then another dialog in Aug. 2005, with Pope Benedict. SZ: Can you make a picture of Richard Williamson? Castrillón Hoyos: He is a honest man, somewhat eccentric. Not silly, but obsessive and stubborn. Castrillón Hoyos: He speaks out what he thinks. Williamson appears to me not like someone who want to cheat. Rather, he is a uncomplicated person who holds extreme positions: but with a simple and honest belief in them. 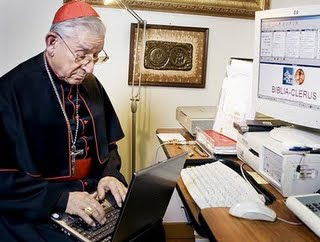 SZ: Cardinal Battista Re felt cheated by you. Castrillón Hoyos: As far as I know, he has never said this. But I know well that he has said some incautious words about me to the press. So I wrote him a letter, in which I said if anybody had known about the Williamson Holocaust-interview beforehand, it must be he alone. He was for many years in the Secretariat of the State. Today he is the head of the bishops' congregation. It is his task to watch over the bishops. SZ: Did this scandal changed your relationship to the Pope? Castrillón Hoyos: Yes, to the good! We have worked together hand in hand, not only because he is the Vicar of Christ, but also he is a first class theologian, a defender of the Faith, he has always trust in me. This has not been changed. SZ: Did you feel yourself hurt by the media? Castrillón Hoyos: I had a lot of experience with the media and got now a thick skin. I never asked for emendations, because it is useless. The truth will finds its own way. And the only truth is that what I just told you. 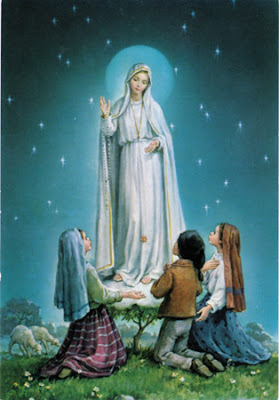 The original Italian article on Fides et Forma: CASTRILLON: QUELLA DI ARBORELIUS E’ UNA "CALUNNIA"
Her Immaculate Heart will triumph. The Jews, then, when questioned by Christ, whose Son they believed Christ to be, rightly answered, the Son of David. The Gospel agrees with their answer. Not only the suspicion of the Jews, but the faith of Christians, does declare this.... 'If then David in the spirit called Him Lord, how is He his son?' The Jews were silent at this question: they found no further reply: yet they did not seek Him as the Lord, for they did not acknowledge Him to be Himself that Son of David. But let us, brethren, both believe and declare: for, 'with the heart we believe unto righteousness: but with the mouth confession is made unto salvation'; let us believe, I say, and let us declare both the Son ofDavid, and the Lord of David. Let us not be ashamed of the Son of David, lest we find the Lord of David angry with us. ...We know that Christ sits at the right hand of the Father, since His resurrection from the dead, and ascent into heaven. It is already done: we saw not it, but we have believed it: we have read it in the Scripture, have heard it preached, and hold it by faith. So that by the very circumstance that Christ was David's Son, He became His Lord also. For That which was born of the seed of David was so honored, that It was also the Lord of David. Christ, therefore, sits at the right hand of God, the Son is on the right hand of the Father, hidden from us. Let us believe. Two things are here said: that God said, 'Sit on My right hand;' and added, 'until I make Your enemies Your footstool;' that is, beneath Your feet. 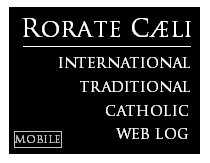 A Korean Catholic friend of Rorate, Peter Kim, has put up a blog (Totus Tuus) that reports on the Korean Catholic scene from a tradition-friendly perspective. Stories of the Korean Catholic martyrs share space with pictures of Catholic Korea prior to Vatican II, and the faint echoes in South Korea of the new liturgical movement in the Western world are chronicled side by side the liturgical and theological scandals that seem increasingly common in that country. There are only a few entries at present, and it is still easy to read the blog from the first entry down to the most current. Tolle, lege. Apparently, even as the English-speaking hierarchies are moving towards more faithful translations of the liturgy, the Koreans are moving in the opposite direction. Where the Church in the West was 30 years ago, the Catholic Church in Asia is -- Kyrie eleison. Anybody interested in Gregorian Chant is welcomed at the chant course in Seogang University in Seoul Korea. The class at 9: 10 am on September 19 is free of charge. Feel free to come and appreciate the beauty of Sacred Music. Other than learning how to sing chant, you may have chances to make friends with Koreans who have good understanding on Catholic Tradition. Instructor: Lioba Jung-Sun Lee (011-9789-4635). You may call her if you have any question on the chant courses. There is another chant class at the Catholic Church of Kang-nam Express Bus terminal in Seoul (강남 고속버스 터미날 성당) at 1 pm every Monday. Lioba Lee provides this course especially for the people from other places in Korea. Chant instructor Lioba Jung-Sun Lee graduated vocal school of music at Yonsei University and earned master's degree of Gregorian Chant at the Graduate School of Music in Catholic University in Korea. She further elaborated her career by finishing the chant courses at the Pontifical Institute of Sacred Music in Rome and the International School of Music in Alexandria, Italy. After coming back to Korea, She instructed schola at the Blessed Sacrament Sisters of Charity, Jeonju Diocese. Also, she conducted choirs at the Catholic Churches of Seojung-dong and Shiheung-dong in Seoul Archdiocese.Now, she is directing a chant schola, "Coena Domini" at the Catholic Church of Seocho-dong in Soeul (at 9 pm every Sunday, there is a Gregorian Chant Mass). She is also instructing a chant course at Seogang University in Seoul. For the record, I am personally very pessimistic about the possibility of an immediate reunion between Catholicism and Orthodoxy, and, time permitting, I will explain at length the reasons behind my stance. However, this blog is not just for the opinions of the contributors, and here there is much room for a variety of opinions so long as these are rooted in a love for Catholic tradition. I invite our readers to discuss Dr. Kopp's suggestions, especially those towards the end of his article. The following is the official translation of the press release of Bishop Anders Arborelius OCD as found in the official website of the Diocese of Stockholm. As such I have made no attempt to edit it. Emphases mine. CAP. Sending information to the Vatican is pure routine, says Anders Arborelius, Bishop of Stockholm in a comment on this evening’s programme on Swedish television, which focuses on what the Vatican actually knew about anti-Semitism in SSPX, before the excommunication was lifted in January this year. The programme ‘Uppdrag granskning’, which will be broadcasted this evening on Swedish Television, is a follow-up to the internationally renowned programme sent last January. In that Bishop Richard Williamson of St Pius X’s Society denied the existence of the Holocaust. This was only days before the Vatican lifted the excommunication of him and the three other SSPX-bishops. The programme this evening will focus on what the Vatican actually knew, before the excommunication was lifted, as regards anti-Semitic attitudes of Richard Williamson and other SSPX-members. The TV-team has made interviews with Anders Arborelius OCD, Bishop of Stockholm, Cardinal Walter Kasper, and Archbishop Emil Paul Tscherrig, the papal nuncio to the Nordic countries. Bishop Anders Arborelius and the nuncio both confirm that a report concerning the activities of SPPX in Sweden as well as a summary of the contents of the interview with Richard Williamson (as far as it was known to them) were sent to the Vatican in November 2008. Thus, forewarning that the programme with the Holocaust-denial would be broadcasted on the 21 January 2009. 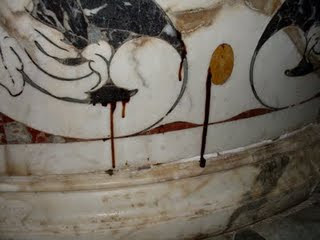 As it turned out, this was the same day as Pope Benedict XVI signed the document, which lifted the excommunication. This last winter, the Church passed through an acid test when the Pope lifted the excommunication of the bishops of the St Pius X’s Society, only days after one of them, Richard Williamson, had denied the Holocaust in the Swedish TV-programme ‘Uppdrag granskning’. disassociation from the Second Vatican Council’s clear acceptance of religious freedom, ecumenism and inter-religious dialogue. In a letter to the Catholic bishops in March, the Pope himself made clear that this was not the case. 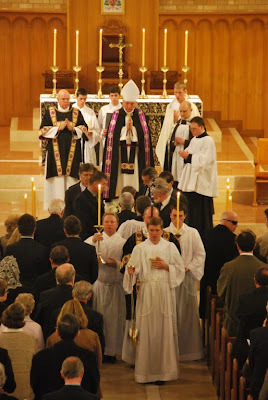 To be fully reconciled with the Catholic Church, SSPX has to distance itself from Williamson’s statements, and accept the Church’s teaching after the Second Vatican Council as well as the teaching of the Magisterium of all the popes after the Council. On the 23 September ‘Uppdrag granskning’ will broadcast a follow-up rogramme focusing on what has happened since last winter, and what information the Vatican had before the lifting of the excommunication. In the programme it will be made clear that we, at the office of the Diocese of Stockholm (as we always do in ecclesiastical matters), had forwarded the information we had about SSPX and Richard Williamson to the Vatican. We also sent the information we had as regards the contents of the interview ‘Uppdrag granskning’ made with him. The Pope and the Vatican has demanded Richard Williamson and SSPX to clearly and without hesitation distance themselves from the denial of the Holocaust and ask for forgiveness. So far, this has not occurred, at least not in Williamson’s case. Nor can we see that the representatives of SSPX have shown the openness and humility that is required for the negotiations between the Vatican and SSPX that are about to begin in October. Let us all pray for the Holy Spirit to guide us, and remember that Christ never abandons his Church. 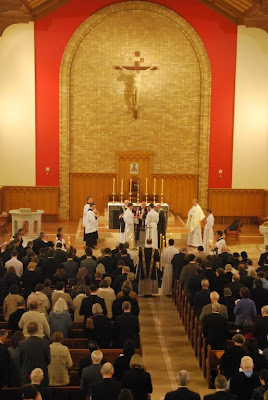 A 1962 Missal Pontifical Requiem Mass at the faldstool was offered on September 7, 2009 at St Christopher’s Cathedral in Canberra, Australia. 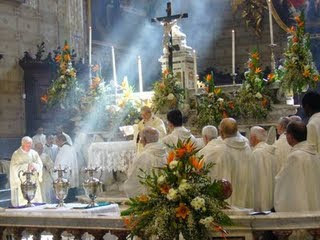 The Mass was for the repose of the soul of Mrs Marian Scarrabelotti. 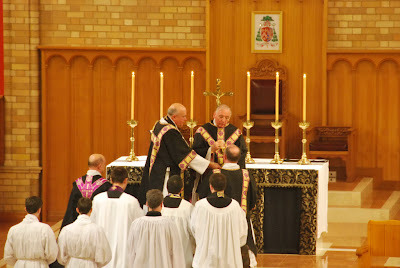 The Mass was offered by Bishop Geoffrey Jarrett, Bishop of Lismore, New South Wales, Australia. 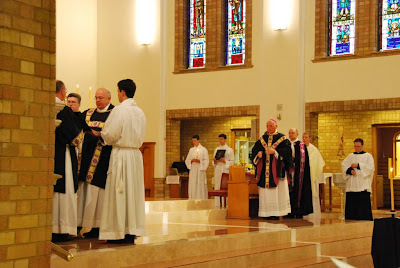 Bishop Jarrett was assisted by Fr John Parsons (deacon), Fr Glen Tattersall (subdeacon), Fr William Define FSSP (Assistant Priest) and Fr Dominic Popplewell FSSP (first MC). A number of other clergy assisted in choir. Bishop Jarrett delivered a homily before the commencement of the Mass. The choir, comprised of singers from the local Choir of Our Lady & St Cecilia and others from elsewhere in Australia sang the chant propers and the ordinary from Victoria’s Requiem. Many of the mourners commented on the beauty of the ceremony and the music, one noting that by the melody and character of these sung texts that Holy Mother Church cradles and comforts us in our grief. 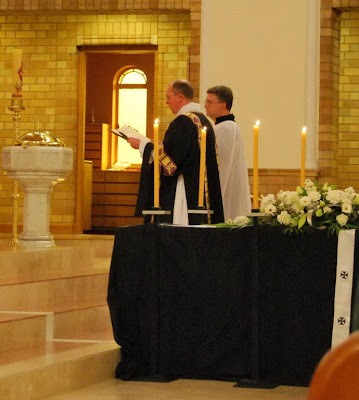 A selection of photographs are displayed here, and a set covering the whole of the liturgy from the reception of the bier to the singing of Sub venite to the commendation at the hearse may be viewed at this photostream. 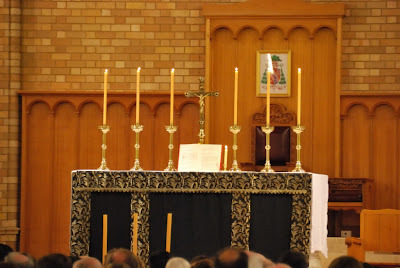 Mrs Scarrabelotti was a long time member and supporter of the Canberra Latin Mass comunity. Of your charity, please pray for the repose of her soul. 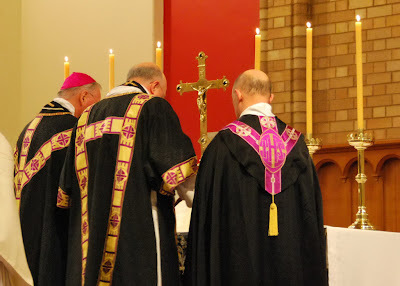 A sobering reminder of the fragility of the new liturgical movement, and an incentive to greater prayer and vigilance for the defence of the sacred liturgy -- CAP. 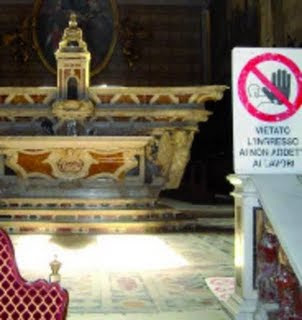 On March 9, 2006, the Archbishop of Oristano, Pier Giuliano Tiddia, in consultation with the metropolitan chapter, gave his approval to the decision of of the cathedral parish priest, Msgr. 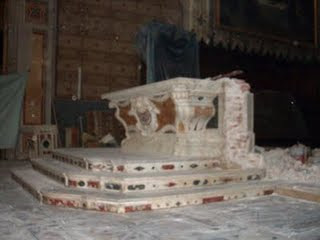 Costantino Usai, to take away the temporary wooden altar that had been erected some time ago in the chancel of the cathedral in order to facilitate Masses coram populo. 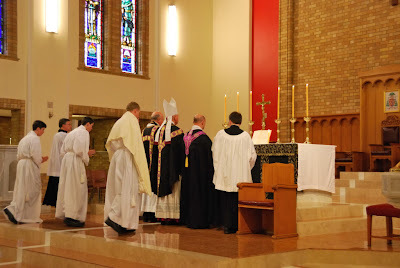 All Masses in the cathedral were henceforth offered upon the marble high altar, ad orientem. In addition the crucifix -- which had hitherto been placed at the side -- was restored to its central place upon the high altar. 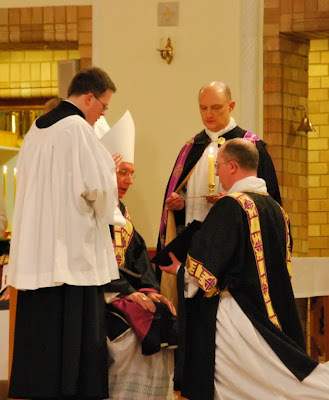 Shortly afterwards, Archbishop Tiddia retired and was succeeded by Msgr. 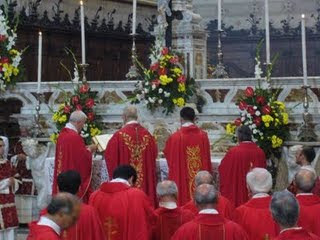 Ignazio Sanna, whose consecration as bishop on June 25, 2006 in the Oristano cathedral saw the newly-consecrated archbishop and Camillo Cardinal Ruini (his principal consecrator) offering Mass on the high altar. Archbishop Sanna lost no time in making his liturgical preference known. 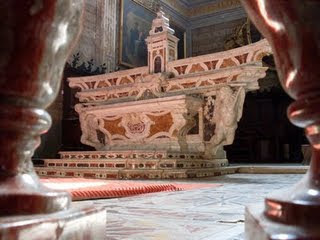 Before 2006 ended he restored the wooden coram populo altar and reinstituted Masses facing the people. 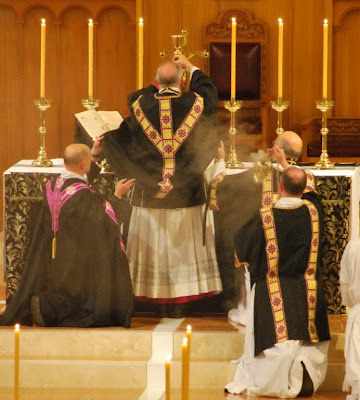 The Archbishop denounced Mass offered ad orientem as "(a)n experiment which has failed, an experiment which places the celebration in a pre-conciliar dimension and – this has been my own experience – does not respond to the sensibility of the People of God." The Archbishop recently revealed plans to take apart the old chancel floor and to construct a permanent table (mensa) with matching ambo at the right side. 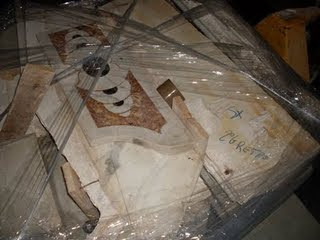 As part of the renovation (wreckovation) of the cathedral, the old high altar is currently being broken and removed. Our friend Eric Giunta has penned a long article (with numerous links) on the case against Archbishop John Favalora of Miami. Visitors to this blog are invited to read the article and to decide for themselves. 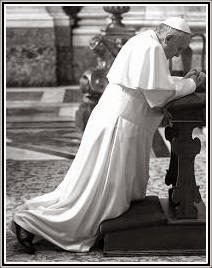 Since nothing is more powerful than prayer, readers are also invited to pray for a new archbishop or at least a coadjutor who is holy, orthodox and faithful to the Magisterium and the liturgical tradition. 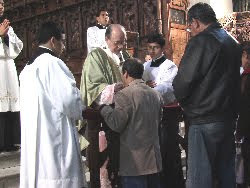 A reader from Lima, Peru has informed Rorate that to receive holy communion at the Cathedral-Basilica of Lima, Perú, the faithful must now kneel in addition to receiving only on the tongue. For that purpose, two kneelers are now put before the steps of the high altar at the moment of Communion, just like in Papal Masses. "The most respectful way of receiving the Eucharist is kneeling and on the tongue. We must recover a sense of respect and reverence due to the Eucharist, because the love to Jesus is the center of our Christian lives. Our souls are at stake." 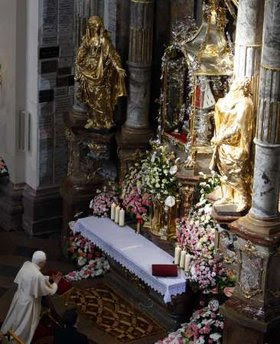 The Archbishop -- who has tried to make Lima a "Eucharistic City" -- also exhorted his flock to adore the Eucharistic Lord in the more than 70 adoration chapels in the city. 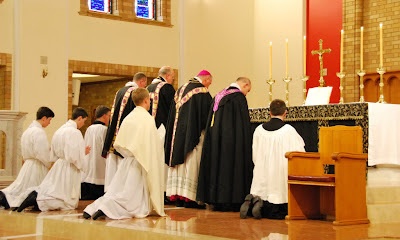 Readers might recall that in August, in apparent preparation for this significant move, the Cardinal had also preached a strong exhortation in favor of communion kneeling and on the tongue, as well as the use of the communion plate. (See this article on WDTPRS.) The Cardinal had already banned communion in the hand in his Archdiocese last year. Church should be modern, but not adapt to the times -- Patriarch Kirill. NIZHNY NOVGOROD, September 11 (RIA Novosti) - The Church should be modern but must not be reformed to fall in line with the "transient tastes of the time," the head of the Russian Orthodox Church said Friday. "The Church retains the apostolic faith that the apostles accepted from the Lord himself," Patriarch Kirill of Moscow and All Russia told an audience of several thousand young people in the Volga town of Sarov who gathered in an indoors sports venue. He said the Church should "go forward" but avoid being reformed "to please modern tendencies," while simultaneously remaining attentive and considerate toward people's "demands and problems, toward their joys and sorrows." Next Wednesday, September 23rd, the Swedish public TV channel, SVT, in their program series called ”Uppdrag granskning” will broadcast a follow-up of their program from January this year about the SSPX. Last winter the Catholic Church was shaken by the interview made by Uppdrag granskning with Bishop Richard Williamson. The Pope and the cardinals in charge assured the world that they had not known about the interview, but this is not true. What did the Vatican know about the Holocaust-denying bishop? The new program will feature an interview with Cardinal Walter Kasper in connection with his visit to the choral festival Pueri Cantores in Stockholm in July, in which the Cardinal clearly explains that, just before the lifting of the excommunication, he had not received any information internally from within the Vatican, but that he had a general knowledge of the sympathies of Bishop Williamson. He further states in the interview that he thought this was something widely known making it a matter of surprise for him that the Pontifical Comission Ecclesia Dei did not know. 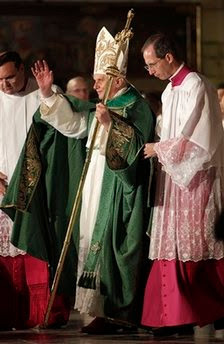 The Catholic Diocese of Stockholm had already warned the local Anglican parish priest, who lent out his church for Bishop Williamson in June 2008, about his supposed extremism. 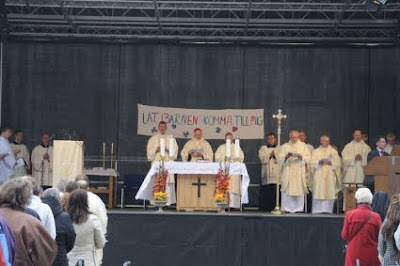 Despite the fact that Bishop Arborelius immediately after the January program said that SSPX is not a part of the Catholic Church, his office has been greatly concerned with the presence of SSPX in Sweden. Even a confidential letter sent to the diocese office was exposed in the now famous TV program from January to prove that measures had been taken by the diocese to stop the SSPX. This time Bishop Arborelius will also be interviewed about his actions before the Williamson interview was broadcast. According to him, in an answer to an inquiry made by the Nuncio’s office, well in advance before the program in January, he had sent information regarding the contents of the text of the interview with Richard Williamson to the Vatican. In the program, the Nuncio to Scandinavian countries, Archbishop Emil Paul Tscherrig, will also be questioned. We have thus to prepare for another attack, aiming not so much at the SSPX as at the Holy See and the Pope, and we have to prepare for another wave of lies in an effort to put the Catholic Church under suspicion for extremist political views. Swedish TV has earlier explained that this topic is of little interest for Swedish viewers. However, they choose to spend a lot of time and money on it and this in good timing with the first round of discussions between the representatives of the Holy See and SSPX.